With the long-awaited first trailer for Mockingjay - Part 2 dropping earlier today, and with the epic kickstart of the marketing campaign this past week - from the new teaser poster, to the stills and to today's trailer premiere and theatrical play with Jurassic World, it's clear that this year's marketing campaign should be no slouch compared to last year's more low-key and, amongst fans, divisive rollout for Part 1. We've already seen two teaser images from Tim Palen's upcoming photo collection featuring the key art and promotional photographs (not stills, FYI) - the Sister Portrait Cannes Film Market/Festival poster and the image of D13 Effie. We are sure, given his book commemorates the entire franchise there will be more art and images from Part 2, especially of our new characters such as Gwendoline Christie's Commander Lyme, so we won't be at all surprised if we have our first set of character posters land in preparation, that would promote both the film and tie in with Palen's book. 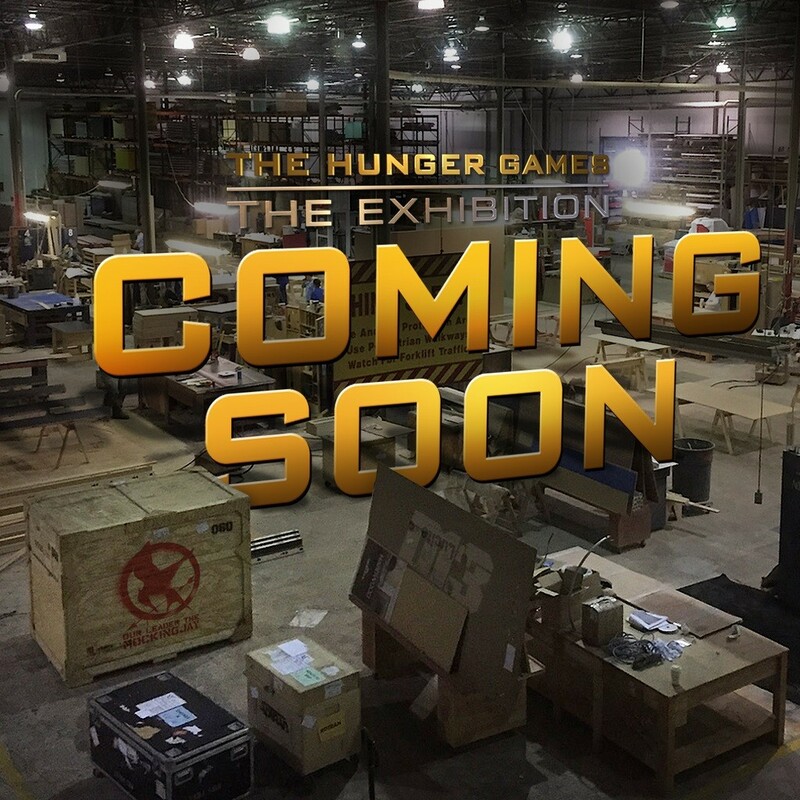 Which could then also tie to the Exhibition which opens in New York City on July 1 - with a grand opening on that day featuring the cast and creative team (Francis and Nina have both confirmed they will attend) which we hope they will livestream for the rest of the world to see - could we expect some exclusive content for the exhibition? Maybe more posters or Part 2 art or even footage? Not a trailer (we'll explain why) but maybe an exclusive scene? From Catching Fire onwards, the films have had a presence at SDCC each year, whether it be a massive panel with the cast and crew and a trailer for Catching Fire or a smaller off-site event for MJ1 with a presence on the show floor for signings from some of the cast. 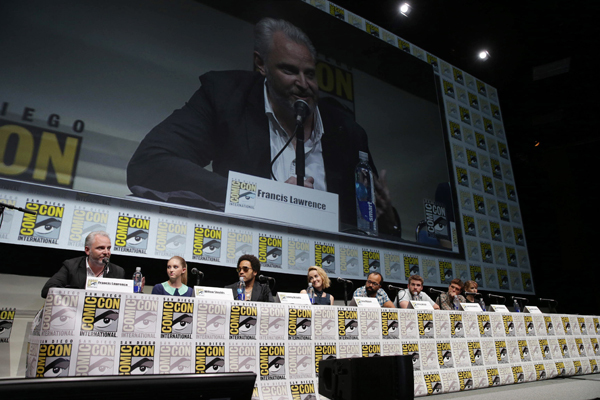 Francis already said in an interview they should be going to SDCC this year - it could be either of those two, but we are definitely hoping for a panel, given that even Francis intends to go this year and hopefully Jen and other cast members will be able to as well. As for what will be revealed? The last two years we have had trailers debut there (the theatrical trailer for CF and the teaser trailer with MJ1) but with today's teaser trailer debut...well it's a tiny bit more difficult to predict what to expect. A full theatrical trailer, or even a second teaser trailer, one month after such a packed teaser trailer, is very unprecedented indeed, so we're not sure if we should expect something that will be released online to the public. We'd say it'll be more what studios usually tend to actually do at SDCC, which is debut some exclusive extended footage for attendees only. Now the big drawback of course for fans is that only SDCC attendees would get to see it - maybe they'll tie it in and have the footage play exclusively at the Exhibition, or even, have the panel and footage stream on Lionsgate's new subscription-based Comic-Con channel? The ideal option of course, bar releasing it online for all, is to do what Disney did with Star Wars Celebration and hold simulcast events of the panel and footage for fans at select cinemas across the world - but if it's this exclusive...we won't be surprised if they'll want to make some money off it. Also last year at Comic-Con they did debut a new poster...so we wonder too if that will be the case this year. End of August to early/mid September - Theatrical Trailer and Final Poster? Given today's trailer release, which was earlier than Part 1's teaser trailer, this sort of timeframe seems good for a second, theatrical trailer. While there isn't much in cinemas at the end of August (bar Lionsgate's own Shaun the Sheep and American Ultra - but we highly doubt they'll debut it with either of those films), a good bet for a theatrical rollout of a second MJ2 trailer would be, like last year with the theatrical MJ1 trailer, FOX's Maze Runner: The Scorch Trials which opens September 18. But given that ideally with the earlier teaser trailer, the theatrical trailer should be earlier, we could get a similar deal as with Catching Fire's teaser trailer, which held off being played in theatres until Iron Man 3 in May despite being released online in mid-April. The MTV Video Music Awards this year take place on August 30 - a lot of you will remember the very first teaser trailer for The Hunger Games debuting at the event, and it would be a very nostalgic moment for fans indeed if the trailer debuted on TV and online during the event. And the final posters for both Catching Fire and Mockingay - Part 1 debuted in September, so that'd probably be the same case here. October - TV Spot Airtime Assault, Tickets and Final Trailer? October 14 - 1-minute long first TV spot featuring the lead single/end credits song from the soundtrack "music inspired by" album. And expect more 30-second TV spots to assault the airwaves from that point on. Sometime in October - tickets on sale - pretty self explanatory. Also full soundtrack "music inspired by" album tracklist? Sometime during final week of October - FINAL TRAILER - both the CF and MJ1 final trailers were released that week so no surprises there if the same happens for MJ2. And much like these trailers, which had their theatrical rollouts with Thor: The Dark World and Interstellar respectively, no surprise either if the final trailer plays with showings of the epic James Bond adventure SPECTRE starting November 6. Now the question is what it will tie into - if the tickets don't come out that week unlike last year, we could see them tie the final trailer in with the MLB World Series on Sunday, November 1...we'd say expect a trailer or some new TV spot to debut there. We won't go into November because we are expecting hopefully a big world promo/premiere tour for this final film, so the dates for the expected London and Los Angeles premieres are very likely to change from their usual slots. Initial soundtrack End Credits Song Artist Announcement - likely early August, like CF and MJ1. MORE Posters - we won't be at all surprised if we get a second character poster set sometime down the line, probably closer to the end of the summer/in the lead up to the theatrical trailer. Also Catching Fire had some absolutely beautiful outdoor art so we hope they come up with something unique for MJ2 too after missing out on MJ1 - with the IMAX 3D release we'd also expect an exclusive poster likely in November! 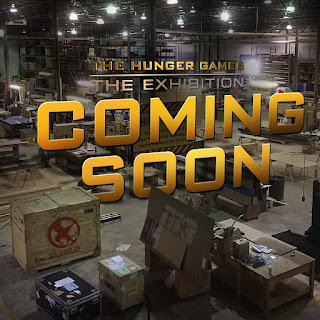 Viral sites/apps/etc - those are very difficult to predict without any type of activity...while TheCapitol.PN did launch the second teaser poster tying in with the trailer debut, we haven't heard a peep from the new Revolution.PN site. Other Possible Exclusive Previews - that does seem like a very popular thing to do now especially with films that would need to sell more, especially if they are in IMAX, but for something like MJ2, as much as we'd want to maybe see whatever footage they bring to SDCC as part of these...it's unlikely. So - what do you all think? Do you think Lionsgate will deliver with thsese (idealistic) timeframes or not? Or would there be something different? Let us know and let the hype for Mockingjay - Part 2 begin!